Visa for Australia - Do I need it and how to get it? Do I need a visa for Australia? How can I get one and what types of visas are available? How to apply, where? Unfortunately you will need a visa to travel to Australia from the UK. Whether you are going on a long holiday, visiting friends, doing business or want to work and live in OZ you will need to get one. We are here to advise you, fill out all necessary forms and help with getting the visa! What are the different types of visas for Australia? Where can I apply for a visa and how? How much does it cost to get a visa for Australia? Whether you are considering visiting or relocating to Australia, you need to think about a visa. To make your dream trip come true or to start over after shipping from UK to Australia all your life and possessions you have to apply for appropriate permit. For the majority of the most often visited by Britons countries, British citizens do not require a visa, so it might be your first contact with the whole process. That is why, we put the most significant facts on Australian visas below. The most up-to-date info is available on the Australian embassy website which is very helpful. You can easily find it on the Internet. You can also contact us for more info on how to obtain a visa for Australia, how much does it costs and how long does it take to fulfil all requirements and successfully complete the visa application process. Get most recent info and advise on Australian visa for UK citizens. How many visas for Australia are issued for Britons every year? Contact us to find out more? We can organize everything and help you with applying and getting a visa. If you are going to move to Australia, one of the first things to do is to check which kind of visa you can apply for. Detailed information is on the Australian Department of Immigration and Border Protection, DIBP, website. Types of visas, forms, procedures, costs and fees - it’s all there. 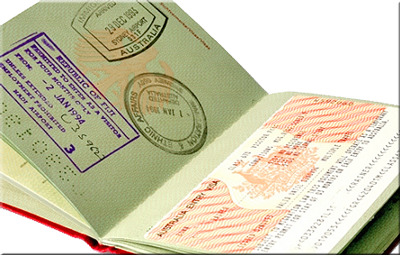 Here you can find a short guide what types of Australian visas for UK citizens are available. First type of visa is tourist one. In fact there are two tourist visas. For the first one can apply on-line and is valid for three months, the latter requires your presence at the Australian Embassy and is valid from three to twelve months. Next, there are business visas. For this type one have to spend some time on paper work. Document you would need are: a proof from your company that your business trip to Australia is necessary, then most of the times you would also have to a kind of invitation from your Australian partner. Application for business visa is free of charge, and the document is valid up to three months. Studying in Australia is becoming more and more popular. It is no wonder, because Australian universities are one of the best in the world and the fees are low comparing to top British or American universities. It is almost sure that when one want to be a full-time student in Australia, will get the student visa. But, since for studying good language abilities are required for non-english speaking students, they have to pass language test. The most important thing is health certificate, in case of any health troubles you could meet in Australia. Basically, a person wanting to study in Australia can get a student visa for one year. If one wants to continue the education there, the visa can be prolonged up to three years. If you want to both, study and work in Australia, you need to know that the student visa allows you to work only half time, 20 hours a week that is. If you have just graduated from high school and you are planning to get a year off before going to university, you might be interested in working holiday maker visa. It is dedicated to youths and allows to travel around Australia and work from time to time. It is valid up to one year. Transit visa is valid for 72 hours only. You can need and apply for it when you are a cruise ship passenger or a member of a ship crew, you change flights in some Australian airport and you will be in Australia for very short period of time. Transit visa is free of charge. Australian universities are among best in the world, and the fees are much lower than in the United States. Many Britons plan to study in Australia, but to do that one need to apply for a student visa. It allows you to study there and to work half-time, 20 hours a week that is. Transit visa is special kind of document required by people which would stay in Australia no longer than 72 hours on their way to the final destination in another country. You would need it if you for example need to change flights on Australian territory, or you travel on a ship or cruiser that arrives in some Australian port. It is a type of visa which is dedicated to people who have been stayed in Australia for at least two years as residents during last five years. In most cases if you want to apply for this visa you should be hired in fields important for Australian economy. After some time and filling out application forms , a resident visa can be transformed into a permanent stay permit. If you are going to move to Australia for a contract which is in example one year long, you should apply for temporary work visa. In each case of a job which one would have for a certain period of time, an Australian immigrant should get this type o visa. This class of visa is dedicated to people who hold a permanent visa and want to travel back to Australia from other part of the world. If your spouse or partner is Australian or is Australian permanent resident, you would need this class of visa. This also applies to people who want to get married soon. It is worth to remember that your marriage status has to be of a type accepted by Australian law. If you want to move to Australia with your child or children, remember about child migration visa. 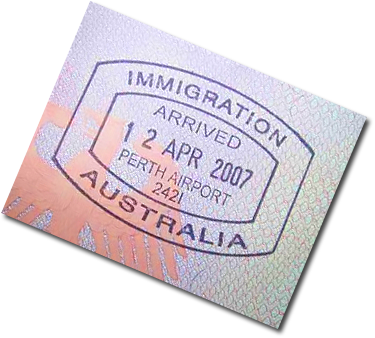 It is required for kids who are travelling with parent or parents who are permanent residents of Australia. Adoption and orphan relative are also included in this type of visa. Investor Retirement Visa - if you are looking to retiring to Australia this is a good option for you. You can transfer your UK pension rights to OZ and enjoy the rest of your life in there. If you want to visit Papua New Guinea you can apply for this visa in Australian embassy in London. You can contact our office at any time. We will be happy to help you with getting a visa to Australia. We will answer any question you may have - How to get a visa? How long does it take to obtain a visa? How much does it cost to get a visa to Australia. Where to apply?